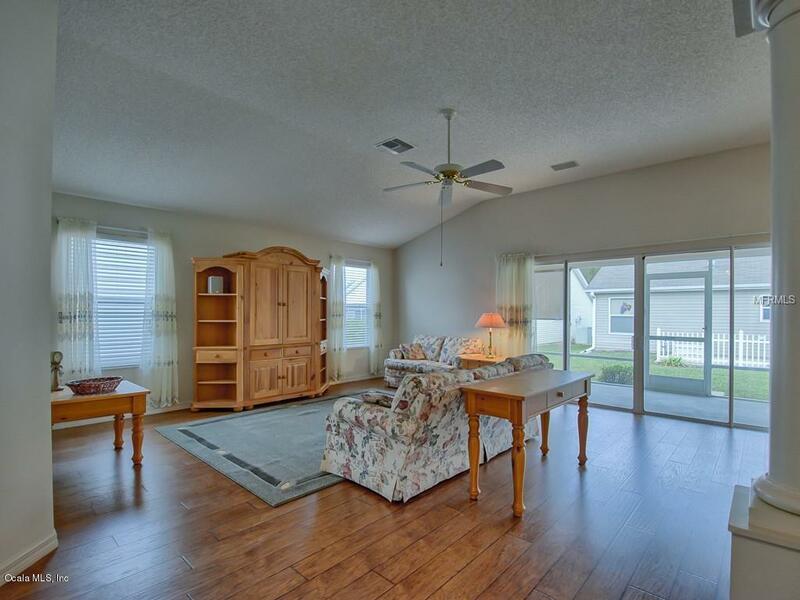 Located in The Village of Woodbury, this very popular open floor plan designer Camelia is near Mulberry Shopping area, recreation centers, restaurants, the VA Clinic and Nancy Lopez Country Club. 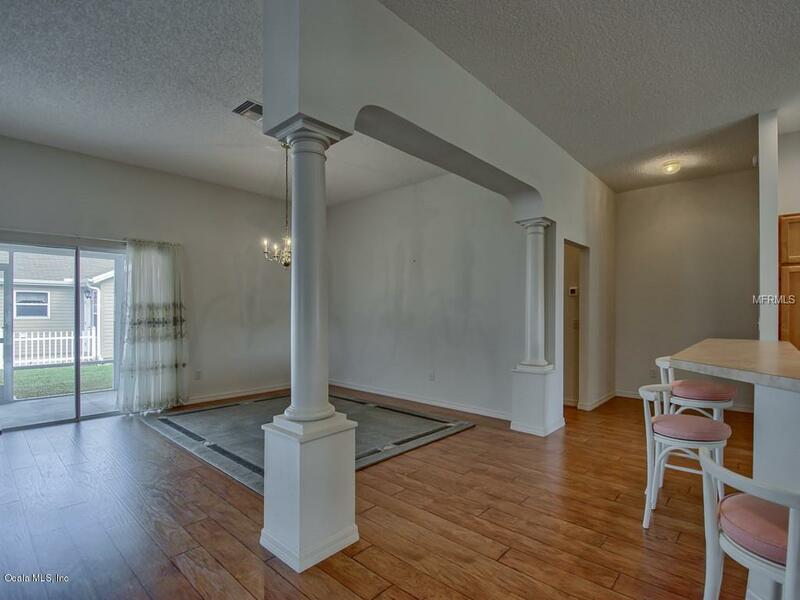 This 3/2 ( the den has no closet) features upgraded laminated flooring in the living & dining and hall areas, new carpeting in the guest side of the home as well as the master bedroom, and some new interior painting. The kitchen has a newer SS French door refrigerator and dishwasher, a cabinet pantry with pull out shelving and lower cabinet pull- out shelving. For those who like gas cooking it can be made available in this gas heated home. 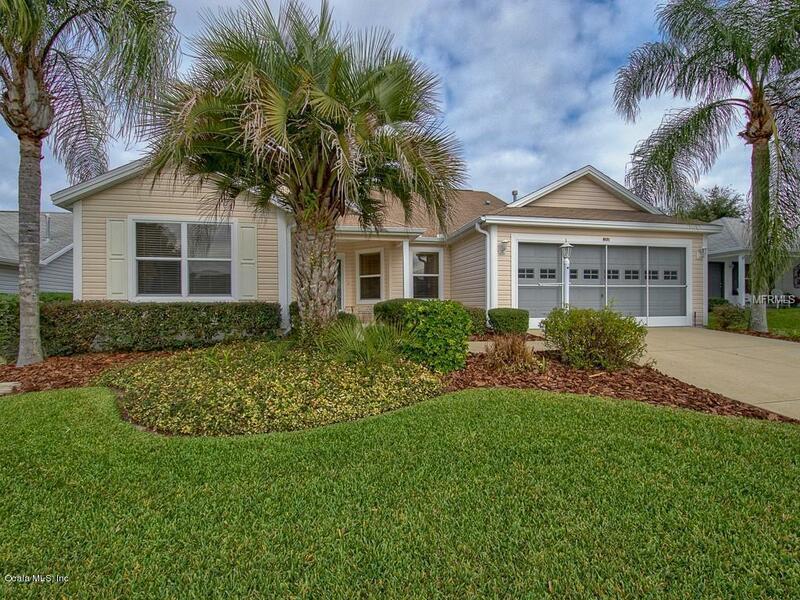 The large master bedroom has two walk-in closets, double sinks in the bath and a separate entry to the lanai. The large (28 x 9) screened lanai has retractablesunshades at one end. 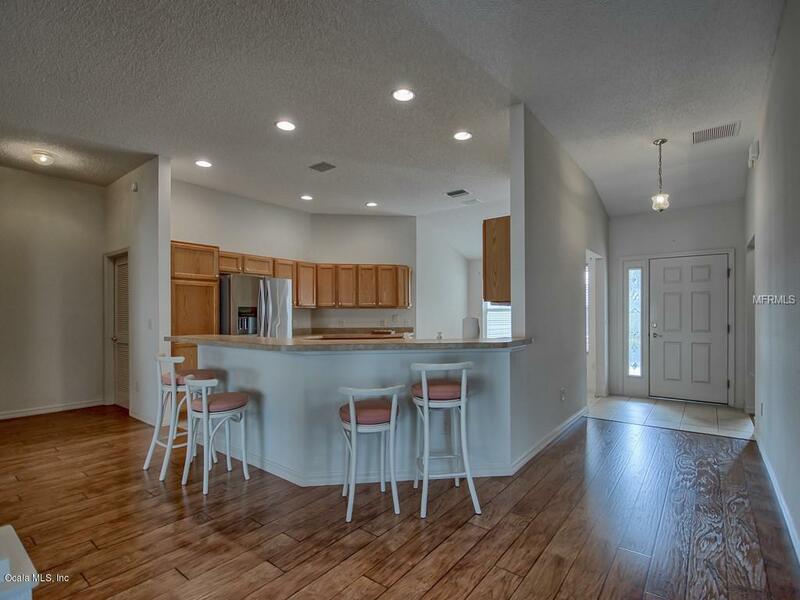 Finally this wonderfully priced home comes with three special bonuses: the A/C is new (2018), there is NO BOND balance, and it comes with a one year renewable Buyer's Home Warranty on all appliances/utilities.